E-Commerce And Catalog Management Case Study: Does Operational Management Matter? The purpose of this series is to view a broken e-commerce/catalog business from the viewpoint of a new CEO. Recall that this business has largely been mediocre or unprofitable during the past five years, resulting in the overhaul of the management team. A new CEO needs to quickly assess several factors, many of which we'll discuss in this series. An easy first step is to look at the metrics associated with operational management of the brand. In the attached profit and loss statement, we notice that the operational management of the business hasn't been optimal. Notice that merchandise fulfillment rate hit a high of 94.5%, but was only 90.9% last year. Return rates were as low as 25.0%, but were 27.4% last year. Gross Margin improved some (48.8%), but has been as high as 50.0% in the past. Pick/Pack/Ship expense has been as low as 11.5%, finishing last year at 11.8%. A new CEO will ask the CFO to run a version of last year's profit and loss statement with historical best operational metrics plugged into the profit and loss statement. So take a look at the attached image. With historical bests plugged into the profit and loss statement, we turn a loss of $258,000 into a profit of $327,000. Now obviously all of these factors are interconnected (gross margin decreases when sales decrease, due to clearance-related needs). But the exercise is important to the new CEO. In this case, the CEO realizes that if s/he can "run the operations" of this business at historical high levels, profitability significantly improves. In reality, the CEO wants for this business to operate at a 10% EBT rate, meaning that ten percent of sales are converted to profit. The business was twelve points away from this level (-1.9% EBT). Fixing the operational management of this business makes up at least four of the twelve point shortfall. In other words, the CEO will make operational excellence one of his/her top objectives for the upcoming year. Your Homework Assignment: Operations play a key role in getting a brand to high levels of profitability. 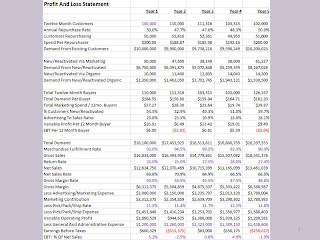 What is the next thing you would look at in this profit and loss statement, when diagnosing what is wrong with this business? J.C. Penney merges marketing and merchandising functions across online/retail channels, then cuts 100 - 200 jobs. I'll bet that the 100 - 200 people who lost their jobs aren't big fans of multichannel integration. Ann Taylor lets go of 13% of their corporate staff, 180 jobs amid a tepid retail environment. In addition, 117 stores will be closed. Talbots to shut down 78 kids and mens stores. Sure this is old news, but it is reflective of what could be a widespread problem in 2008. This economic downturn could weed-out a lot of over-assorted retail square footage. Eddie Bauer cuts 16% of its corporate staff, even as sales improved in Q4. Home Depot cuts 500 corporate jobs, 10% of the corporate staff. Assume these are $75,000 a year jobs (including benefits). Take the $210,000,000 that former CEO Robert Nardelli garnered as part of his golden parachute, divide it by $75,000, and you are able to keep these 500 folks gainfully employed for another five years. Dell plans to close 140 shopping mall kiosks. Starbucks will close 100 underperforming stores. If you are a retail real estate executive, you have to be wondering who the retailers are that will line up for the store locations made available by the great recession of 2008? Old Navy updates their logo, and elects to move away from families, now focusing on a fashion-based twenty-something target audience. Trees rejoice as USPS volume drops by 3% in Q1-2008. When we read about improving the performance of a catalog / e-commerce brand, we frequently read about "extremes". On one hand, we focus extensively on the "tactics" that improve the performance of marketing campaigns. E-Mail subject lines, call-to-action, catalog page counts, branded vs. non-branded keywords, prospect mailings, there's a veritable plethora of tactics that folks can improve upon. Better yet, there's no shortage of folks who can help drive tactical solutions. On the other hand, we focus on "brand management". Boy, do we love to focus on brand management. Everybody is an expert at what Starbucks should do to grow same-store sales. Folks have no problem telling brands that they have to become "multichannel", or that implementing a transparent, authentic blog will cause a brand to grow in a "viral" manner. Unfortunately, neither end of the spectrum meets the needs of the newly appointed CEO of a multichannel e-commerce/catalog brand that experienced several years of sour performance. More often than not, the newly appointed CEO needs to implement a "meat and potatoes" approach to fixing the profit and loss statement. The brand we'll study in this series (click on the image please) achieved "best" performance five years ago. Since then, the brand wobbled between mediocre and awful performance, resulting in the firing of the management team. Let's review net sales and earnings before taxes performance. Year 1 = $661,000 (5.2% of Net Sales). Year 2 = ($315,000) (-2.5% of Net Sales). Year 3 = $63,000 (0.6% of Net Sales). Year 4 = $550,000 (4.9% of Net Sales). Year 5 = ($258,000) (-1.9% of Net Sales). Clearly, this business is in need of fixing. Over the course of the next several posts, we'll talk about the ways that a newly appointed CEO uses "meat and potatoes" and "multichannel forensics" to address the performance of a floundering brand. Your homework assignment: Study the image at the top of this post. What areas of the profit and loss statement suggest mismanagement of this brand? The agenda for the Executive Forum (February 24-26 at the fabulous Lago Mar Resort and Club in Ft. Lauderdale) continues to impress catalog and online executives. The good folks at F. Curtis Barry & Company tell me that an impressive array of CEOs, Owners, Presidents, and Marketing Executives with broad-based p&l responsibility have signed up for this three-day event. Strengths, Weaknesses, Opportunities and Threats to a Catalog/Multichannel brand. Planning for 2008 and beyond. How to make money in this business. Vendor Structure and Supply Chain. Purchasing, Forecasting, and Inventory Management. Three days, a wonderful location, great agenda topics, and your CEO, Owner, President and Marketing Executive peers make for a fantastic opportunity! Please join me at this industry-leading event. Register here. Survey Question: What Will E-Mail Marketing Look Like In 2015? For those of you who subscribe via RSS or E-Mail, please visit the MineThatData Blog Homepage to take this week's survey question. Question: What will e-mail marketing look like in 2015? E-Mail continues to be a campaign-based branding and promotional tool. E-Mail becomes a trigger-based targeting strategy that increases sales among engaged consumers. E-Mail evolves in ways we cannot yet forecast. E-Mail marketing is a craft that is irreparably harmed by spam, over-mailing, and/or better technology. Please visit the homepage and vote for your choice! Survey Results: What Do You Think The Catalog Industry Will Look Like In 2015? Catalogs will be the primary driver of web sales = 0%. Catalogs will be the primary driver of web sales among a targeted subset of the audience = 42%. Catalogs evolve in ways we cannot yet forecast = 39%. Ecological and cost pressures end the craft of cataloging = 19%. The MineThatData audience has a sizable number of professionals in the catalog industry. Surprisingly, not one respondent felt that catalogs would be the primary driver of online sales in 2015. I have a few questions for you, the loyal reader. Who is the targeted audience that you believe will be catalog-responsive in 2015? 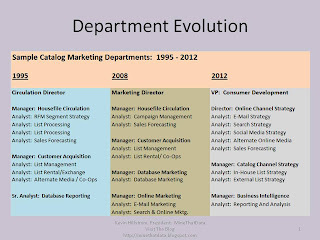 What are some of the ways that you believe catalog marketing will evolve over the next seven years? If you believe that the craft of cataloging will end over the next seven years, what are the "end times scenarios" that bring the industry down? Those of us in the multichannel catalog and retail world like to "optimize marketing spend". If you're a cataloger, you become obsessed with "incremental" or "cannibalization" rates. If you're an online marketer, you love comparing CPA's across various marketing activities. Retailers ... well, it's a lot harder to accurately measure the incremental impact of various retail marketing activities, isn't it? Not impossible, but harder. There are a few ways to think about optimizing marketing spend. If you have deeper-than-average pockets, you might work with the folks at Decision Intelligence. You'll get your money's worth from the mathematical wizardry they offer. For those of us looking for a simpler solution, let's think in the most basic of terms. Let's offer a starting point for thinking about contact strategy management. Catalog-Only Customers: On average, these folks won't buy unless they are advertised to. Via mail/no-mail tests, it is a straightforward exercise to figure out the right amount of advertising spend per customer segment. No Advertising = 5% Repurchase Rate. 50% Advertising = 41% Repurchase Rate. 100% Advertising = 50% Repurchase Rate. 150% Advertising = 56% Repurchase Rate. Online-Only Customers: These folks will buy without advertising. We are frequently misled by these customers, thinking our e-mail and catalog marketing activities "caused" them to purchase. In reality, we have to divide spend into "organic" spend that happens without advertising, and spend that only occurs when the customer is advertised to. We only learn this by executing tests, or we estimate it via a Multichannel Forensics simulation. No Advertising = 28% Repurchase Rate. 50% Advertising = 36% Repurchase Rate. 100% Advertising = 40% Repurchase Rate. 150% Advertising = 43% Repurchase Rate. Catalog + Online Customers (aka "Multichannel" Customers): Easily the most flummoxing segment of customers on the planet. Catalogers think their marketing activities drive 85% of the activity with this segment. E-mail marketers believe they manage the customer relationship with this segment. Search marketers feel they drive increases in sales and profit. The reality, however, is that the customer "combines" none/some/all of these activities when buying merchandise. As a result, you feel like you're stuck mailing the catalog, delivering multiple e-mail campaigns, and paying for various keywords in order to facilitate a purchase. Are you? No Advertising = 41% Repurchase Rate. 50% Advertising = 58% Repurchase Rate. 100% Advertising = 65% Repurchase Rate. 150% Advertising = 70% Repurchase Rate. Your starting point is to figure out the baseline repurchase rate, spend per repurchaser, and revenue (repurchase * spend) for each customer segment. Next, you estimate (using relationships like the square root rule, or better yet, using test/holdout results) what happens when you advertise at 50%, 100% or 150% of normal ad-dollars (and increments in-between). Once you estimate the optimal spend level, identify the most effective marketing activities. In many cases, this requires a decent amount of testing (e-mail and catalog contact strategy testing). Among "multichannel buyers", carefully analyze how many marketing channels are combined in each purchase, when various marketing activities are withheld from the customer. At some point, you obtain a baseline of knowledge that allows you to do one of three things. Try your own contact strategy optimization. Hire experts like the folks at Decision Intelligence. Go halfway, using tools like Multichannel Forensics to simulate the long-term impact of short-term ad-spend decisions. Most important is the starting point, folks. Segment the customers, understand that "organic" demand occurs for many customers, and estimate if you are over/under spending. Create widgets that allow your customer to create a sub-store on their own homepage (Google, My Yahoo, etc.). Give your customers access to their historical online visitation behavior. As a perk, allow your multichannel or most loyal customers to create a widget-based personalized homepage. Stop guessing what your customer wants --- pay CLOSE ATTENTION to the widgets your best customers put on their personalized homepage! Don't treat your RSS feeds like e-mail campaigns. Allow every store manager to create a personalized/widget-based "store page", and encourage store customers to interact with that page instead of your typical e-commerce homepage. Allow your best store employees to have their own personalized/widget-based "store page", and encourage your store customers to interact with that page instead of your typical e-commerce homepage. Have gifted employees write heartfelt blogs about your brand. Give them twenty-four months to build an audience. Keep your PR department out of this activity. After twenty-four months, measure the profitability of customers who interact with the blogs your employees write. Retail websites serve three purposes: E-Commerce, Research, and Entertainment. Decide which of these elements is most important to your customer. Catalog websites serve three purposes: E-Commerce, Research, and a Catalog Order Form. Decide which of these elements is most important to your customer. Your catalog/retail audience is homogeneous. Your website audience is heterogeneous. Merchandising a website is more difficult than merchandising a catalog, or a store. Divide your online audience into "segments" based on the activity that drives them to the website (i.e. visitors from Google (paid/natural, branded etc. ), from E-Mail, from Catalog, from Retail, from Portals, from Shopping Comparison Sites, from Affiliates, from Widgets, from Blogs). Measure everything across sub-audiences. Merchandise to each individual audience. It is very likely that your customer visits your site three or four times between purchases, rendering metrics like conversion rate useless. Instead of measuring conversion rate, measure the probability of a prior loyal visitor visiting again this month. Instead of measuring conversion rate, measure the average number of visits made if a loyal visitor visits again this month. Instead of measuring conversion rate within one session/day, measure the probability of a loyal visitor purchasing over a seven/thirty day period of time. Instead of measuring conversion rate within the online channel, measure the probability of a website visitor purchasing via mail/phone/store within a seven/thirty day period of time, and add those conversions to your online conversions. Your website is a home with many entry doors. Customers are less and less likely to ring the doorbell to the front door. Use Multichannel Forensics to identify if e-commerce customers become retail customers. Shopping cart abandonment is not a bad thing. For many customers, the shopping cart is simply a "wish list repository", a place to hold items the customer wants to purchase in your store at a later date. If you want to increase the conversion rate of your website, pay attention to "ugly" websites. In your customer database, record the number of days since last website visit. In your customer database, record the number of days since last visit to all of your key landing pages. In your customer database, record the number of days since last visit from Google and other search engines. In your customer database, record the number of days since last visit from an E-mail campaign. In your customer database, record the number of days since last visit from Portal advertising, Shopping Comparison sites, Affiliate marketing, etc. In your customer database, record the number of days since last visit from a blog. In your customer database, record the number of days since last visit to each of your key merchandise divisions. In your customer database, record the number of days since the customer used your internal search function. Measure customer interaction with the sub-channels on your website (paid search, natural search, branded search, non-branded search, e-mail, widgets, portals, shopping comparison, affiliates, etc.). Once measured, target your e-mail and search marketing strategies around customer interactions with sub-channels. Retail Executives: Please treat your online marketing team as equal partners. Catalog Executives: Please treat your online marketing team as equal partners. Online Executives: Please meet your retail and catalog executives "half-way"! Similar to catalog marketing, there is a relationship between online merchandise density and sales per visit. Pay close attention to the items catalog buyers purchase online. Which non-catalog-advertised items are customers purchasing? Pay close attention to the items retail customers purchase online. Which non-retail items are customers purchasing? Personas are communication tools that allow your executive team to understand who is interacting with your website. Executives understand personas better than they understand conversion rates. Online Executives: Go "on the road". Visit every store manager, every one of your call centers and distribution centers, and evangelize your craft to those who are not immersed in it. Link customer behavior across multiple computers for a complete view of customer interaction with your brand. Try something different with e-mail marketing. Stop the "sameness" that plagues the retail/catalog industry, test anything that is not a "best practice". Require each executive to respond to one customer complaint per month/quarter on a "complaint blog", and actively listen to customer comments in response to executive posts. Require each store manager, or teams of store managers, to execute online marketing campaigns from time to time, to learn and appreciate your craft. Require online marketing managers to work the sales floor in your store two days per year. Require each store marketing manager (television, newspapers, magazines) to execute online marketing campaigns, and require these folks to measure success across all channels. Require each online marketing manager to execute store marketing campaigns, and require these folks to measure success across channels. Require store merchandisers to actively monitor "what sells online". Require online merchandisers to actively monitor "what sells in stores". Test the difference in customer behavior when marketing campaigns are integrated (same across stores/website), and when marketing campaigns are run independent of each other (different across stores/website). Retail executives: Your website may well be a media channel. Split your website into two parts, an e-commerce part, and a media channel. Treat each "sub-channel" appropriately. Hint: You're better at managing a media channel, your online marketing folks are better at managing the e-commerce channel. Web Analytics: Complement your traditional session/daily metrics with time-based metrics based on fixed groups of customers. There isn't a difference between a customer visiting four times and buying once during a month, and a customer visiting once and buying once during a month. The days of +25% online sales growth are winding down. If you are an online marketing executive, be ready to prove your worth in a +4% comp-sales online world. Pretend you are a loyal customer of a leading catalog brand. Let's see how the leading brand might have contacted you, over the years. You enjoyed receiving your three big books a year, 600 page monsters featuring the entire store. You mailed your order to the brand on October 1 along with a check covering the purchase amount, hoping the merchandise would arrive in 4-6 weeks. Total marketing contacts = 3. You stumbled across a "specialty brand" that mails you twelve catalogs a year, smaller monthly reminders averaging 124 pages each. You phone your order in on October 15, giving a credit card for payment. Total marketing contacts = 12. Your favorite specialty brand "branched out" into other product classifications, sending you twenty-four catalogs a year. Total marketing contacts = 24. E-commerce, the dot-com craze, and Y2K preparedness dominate the landscape. In addition to 24 catalogs, your favorite specialty brand started sending a monthly e-mail campaign, and has a website where you can purchase merchandise. You visit the website on a quarterly basis. Total marketing contacts = 36. The surprising rise of Google allows you to "shop around". You use Google once a quarter for shopping purposes. Your favorite brand has upped e-mail contacts to 24 a year. You visit the website on a monthly basis. Total marketing contacts = 48. Google owns the world, having become your starting point for your shopping habits. You use Google once a month to research product offered by your favorite specialty brand. Your favorite specialty brand ramps up the e-mail program to one per week, and maintains 24 catalog contacts per year. You visit the website once every three weeks. Total marketing contacts = 76. Your leading specialty catalog brand adds RSS feeds to the mix, allowing you to see new and exciting merchandise offerings once every three days. E-mail contacts have increased to three every two weeks. You visit the website once every three weeks, and you use Google to search for comparable merchandise once every three weeks. Total marketing contacts = 102. Total pull-based contacts (RSS) = 17. During my twenty years in this industry, I haven't observed significant gains in annual repurchase rates or annual purchase frequency. I observed significant decreases in response to catalog and e-mail marketing activities. Then I step back, and truly see how we contact customers. It all makes sense. We simply average high response in a dozen activities across a hundred activities, yielding low response. Sure, customers can opt-out of catalog and e-mail marketing ... but once the customer is in, we make sure we're in their mail-box/in-box a couple times a week. As leading brands, we work out tail off to make each interaction, each contact, as productive as possible. We are driven, using real-time metrics, to employ "best practices" that maximize ROI. We micromanage metrics like click-through rates, never stepping back to see if all the changes in click-through rate actually cause an annual increase in repurchase rate. At the end of a year, we've saturated the customer with more than a hundred contacts ... contacts that produce the exact same annual repurchase rate, the exact same number of purchases per year. And then we wonder why customers are fed up with spam and junk mail, when this process is repeated across the five brands the customer purchases from on a regular basis, not to mention another fifty catalog brands that try to entice you into purchasing via unsolicited customer-acquisition-based mailings. Within four hours of writing about the Catalog Choice piece on The Today Show, Google ranks my article #2 (as of 4:03pm PST) for the search term "Ann Curry and Catalogs", driving a truly disproportionate amount of traffic to my article. The pace with which human beings, social media, traditional media, machines, and algorithms rapidly, uncontrollably and unpredictably interact with each other should cause all of us to take notice. Some folks would have you believe that the customer is now in control. Analyzing my blog visitation statistics, I'd argue that Google is firmly in control. If you were at work this morning when The Today Show featured a piece on how to cancel catalogs, please watch the segment here. Ann Curry sat at a computer monitor, and opted-out of Red Envelope, Pottery Barn and Mrs. Fields catalogs. Kudos to Catalog Choice and those cute kids for getting attention via grass roots efforts. This goes to show you how individuals and small teams can make a difference. How things get done in this world is rapidly changing ... Catalog Choice provides a great example of how to market a useful service via social media, illustrating how mainstream media does the work for you when social media is executed properly. Catalog Choice reports that they've had an onslaught of traffic today. Ted Wells reports that 500 visitors an hour are checking out his blog. The Today Show, via their website at MSNBC, is challenging all schools to do what the cute kids accomplished. Here is a link to the Today Show Challenge. Of course, there's some level of irony involved in having NBC and The Today Show take shots at companies like Red Envelope, Pottery Barn, and Mrs. Fields. When I ran Ann Curry's video on the MSNBC site, I was subjected to unsolicited advertising from Best Buy, I could not fast-forward over the ad, MSNBC forced me to watch it. I might have wanted to opt-out of that advertising opportunity, however, I could not. Honda, Smuckers, Hyundai, Pillsbury, Olay, Air Wick, Dannon, Clorox, Turbo Tax, Slim Fast, Pampers, Cheerios, Kashi, Olive Garden, Progresso, Oreo, Bank of America, Head and Shoulders, Nestle, Lysol, Visine, Capital One. Obviously, I cannot speak to any details on the practices of these companies ... I am simply hopeful that all of these companies don't over-harvest trees or mis-use fossil fuels to produce the products, services and packaging that paid the salaries of the folks bringing us The Today Show, the show that promoted Catalog Choice. Less than six years ago, it was easy to pick on J. Crew. There aren't many people picking on J. Crew (JCG) these days, are there? Through the first nine months of 2007, J. Crew generated a staggering 13.8% EBIT as a percentage of Revenue, according to their most recent 10-Q statement. "We continue to see a shift of Direct customers from catalog to the Internet. We evaluate the efficiency of our circulation strategies on a continuing basis and make adjustments as we deem appropriate." Do you think the adjustments are working? Based on all of the data I've analyzed over the past decade, I am convinced that most of the brands we manage have fat to cut in the print channel. We need to do a better job of evaluating each advertising channel as an investment. Financially, we're told to diversify our investments if we want to protect our retirement income. Similarly, we need to do a better job of re-allocating our print investment into better-performing online advertising channels. Our measurement methodologies and belief systems prevent us from making necessary progress. Survey Question: What Will The Catalog Industry Look Like In 2015? For those of you reading via e-mail or RSS feed, please visit the homepage (http://minethatdata.blogspot.com), and take the survey on the right-hand side of the page. The question: What will the catalog industry look like in 2015? Please feel free to forward this article to anybody you feel would benefit from the information. Add your tip in the comments section of this post. Remail catalogs are on their last legs. Where possible, use new creative, the customer knows the difference. Honor all catalog opt-out requests, regardless of source. Urban customers like to use catalogs to shop retail stores. Suburban customers like to use catalogs to shop your website. Rural customers like to use catalogs to purchase merchandise over the telephone. It is very likely that you are under-investing in online marketing (paid search, portals, etc.). Online customers have lower lifetime value than catalog-sourced customers. Get over it!! Profit and loss statements should be generated, by item, on a quarterly basis, measuring profit across all channels. Statistical models almost always outperform RFM models. RFM models are perfect for understanding comp-segment performance. Increased product density in catalogs is generally correlated with increases in phone/mail channel sales. If your customer acquisition activities are at a break-even level (on each incremental segment, or in total), you are probably under-investing in customer acquisition, throttling the long-term growth of your brand. Ease up on mailing online-only buyers. Ease up on mailing retail-only buyers. Use mail/holdout groups to understand if catalogs need to be mailed to "multichannel customers". Determine how much of the sales volume will happen without mailing any catalogs. Matchback algorithms over-state the effectiveness of catalog marketing. Multichannel Forensics (white paper, book) should be used to understand when customers are willing to switch channels, or no longer need catalog advertising to purchase from your brand. If you double the number of pages in a catalog, expect a 50% increase in sales volume. Do not test new merchandise or new creative strategies in mailings targeted to new customers. Thoughtfully evaluate the mix of new and existing merchandise offered to your best customers. Pay close attention to the Zappos business model. Pay REALLY close attention! If more than one out of every five catalogs you mail is sourced from a co-op database, pay very close attention to the merchandise preferences of co-op customers vs. all other customers --- your future merchandising assortment may be driven by co-op statisticians, not by you! If more than one out of every five online purchases is sourced from Google, pay very close attention to the merchandise preferences of Google customers vs. all other customers --- your future merchandising assortment may be drive by Google, not by you! Accurately forecast segment-level household counts. Your inventory management team thanks you for your support! Don't cut back on customer acquisition during an economic downturn, or during an inflationary expense environment. 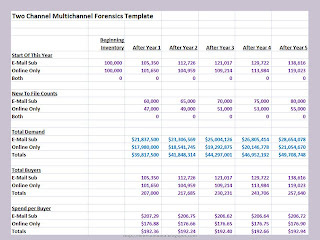 Use Multichannel Forensics to forecast the five year trajectory of each of your channels, and then pro-actively change the trajectory of each channel in a favorable manner. Don't outsource your intellectual capital. Keep smart people, and pay them what they are worth. Learn from your online marketing and e-mail marketing staff. Cross-train your catalog marketing, online marketing, e-mail marketing and social marketing experts. 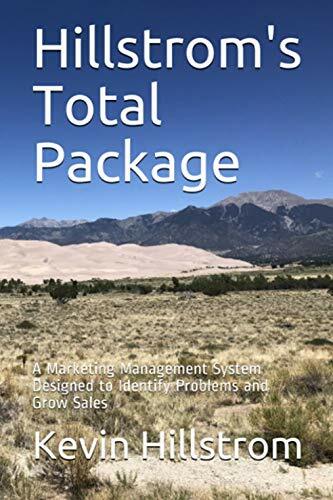 If your catalog marketing, online marketing, e-mail marketing and social marketing experts do not defend all of their decisions via profit and loss statements, immediately train each individual on how to produce a profit and loss statement. Listen to your business intelligence and data mining staff for advice. Don't ask these folks to drive your business strategy. Adding a 20th catalog to your contact strategy will probably not cause a proportional increase in sales. Adding a 20th catalog to your catalog strategy will probably cause a proportional increase in expenses. Multichannel customers are not always your best customers. Execute and analyze mail/holdout tests in every catalog and e-mail marketing campaign. A growing minority of consumers view your catalog marketing efforts as "junk mail", as being a threat to the environment. Respond to this trend! If a catalog customer has not purchased in two years, but visited your website yesterday, mail this customer a catalog. All of your future catalog and e-mail targeting strategies will require a database of summarized online visitation behavior. The best catalog marketing in the world will not overcome shoddy financial or operational management of your brand. Customers who order three or more items, only to realize these items are not available, will have lower lifetime value than customers who receive the items they wish to purchase. Channel data ages differently. Catalog purchases have a long half-life. Online purchases have an average half-life. Retail purchases have a short half-life. Do not allow phone/mail transactions to drive your overall merchandising strategy. These transactions are disproportionately driven by age 50+ rural shoppers. Keycode/Source Code response management is a dying craft. Your list management, list rental/exchange firm, or co-op partner should be viewed as a "trusted adviser". Conversely, list management, and list rental/exchange folk, or co-op partners should be branding themselves as "smart people" rather than "list people". If you merchandise a catalog for multichannel success, you will probably end up mailing an unsuccessful catalog. Pick a primary channel, and merchandise to the target customer of the primary channel. The merchandise mix of items purchased in a store is likely to be different than the merchandise offered in the catalog you mailed to a store customer. Optimal catalog merchandising to drive store sales is a complex and misunderstood process. Forty-eight pages may drive just as much online and store volume as do eighty-four pages. When an online/store shopper is willing to purchase without marketing assistance, gladly stop marketing to the customer. As you add channels, pay close attention to your purchase metrics. During the past decade, we haven't significantly "pushed the peanut" on repurchase rate, orders per repurchaser, items per order, or average order size, in spite of additional channels and additional marketing expense. Special catalogs have special products at higher-than-average price points. The first twenty pages and the back cover of your catalog mean EVERYTHING. This is not real estate worthy of experimentation or careless branding strategies. Identify order starters (the items that cause a customer to purchase) in catalog and e-mail marketing activity. Capitalize on these items across all marketing activities. Your database must have summarized and detail-level catalog, online and retail purchase behavior, updated on a weekly basis, at a customer level. Your database must have summarized and detail-level online visitation activity, updated on (at worst) a daily basis, at a customer level. Your database must have summarized and detail-level marketing expenditures at a customer level. If you purchase campaign management software for your direct mail and e-mail activities, expect staffing turnover due to differences in skill-sets between traditional circulation tasks and campaign management circulation tasks. Demand oversight and a collaborative relationship with your co-op statistician. This person has a disproportionate influence on your brand. Long-term, you are an online brand that mails catalogs, not a catalog brand with a website. Start transitioning your staff today for this long-term certainty. You can successfully integrate all of your merchandising and inventory systems across channels. You may not have the marketing expertise to take advantage of multichannel systems integration. The days of charging $14.95 for one week shipping/handling are coming to an abrupt end. See tip #21 for more details. You will be amazed how much waste is pared from your marketing activities when you're no longer able to charge $14.95 for shipping/handling. Challenge the ACCM, and DMA conferences to feature speakers with innovative and relevant ideas. Demand that our best conferences provide you with a roadmap to the future. Talk openly about how Catalog Choice will impact the long-term future of your business. Talk openly about how you would alter your marketing strategy if you were not allowed to mail catalogs to customers who have never previously purchased from your brand. Become best friends with the folks who work in your Finance department. Become best friends with your Web Analytics expert. When vendors talk about huge targeting and data mining successes, be skeptical. It is likely that the success is due to previous failures in marketing strategy, not in targeting/data mining strategy. Listen to the passion your Chief Merchandising Officer has about merchandise. If you find a talented person anywhere else in your organization who has comparable passion for his/her craft, hold on to that person with all your might! Realize that almost nobody in your organization understands the economics, response, and profitability of your catalog, e-mail and online marketing efforts. Become the person in your organization that thoroughly understands the economics, response, and profitability of your catalog, e-mail and online marketing efforts. How will you ever innovate if all you do is follow "best practices"? If you want to improve your multichannel marketing strategies, listen to your customers before you listen to vendors / research organizations. Next time you're meeting with an online marketing executive, ask the executive how much s/he is willing to spend to acquire a customer. We want each individual marketing activity to perform at or above break-even. We want the sum of all marketing activities to perform at break-even. We want the long-term value of customers to exceed what it costs to acquire a customer. In the short-term, executing marketing activities that don't lose money protect the short-term profit and loss statement. In the long-term, losing money in the short-term that is offset by sales and profit over the next few years makes the most sense. I frequently use a one-channel Multichannel Forensics spreadsheet to play with different scenarios for clients. Take a look at the incremental statistics. The first strategy generates $16.09 profit per new customer. Incrementally, the second strategy generates $16.09 profit per new customer, followed by a loss of $16.15 per new customer. The second strategy acquires double the customers of the first strategy. The third strategy generates customers at a profit of $16.09, then a loss of $16.15, then a huge loss of $44.78 per customer. The third strategy generates nearly three times as many new customers as the first strategy. Now look at the long-term demand/profit trajectory of each strategy. The first strategy nets $35.7 million demand and $6.4 million variable profit in year one ... culminating in $34.4 million demand and $6.1 million variable profit in year five. In other words, this business is being starved for new customers in the long-term. The second strategy (break-even new customer acquisition, in total) yields $41.1 million demand and $6.5 million variable profit in year one ... culminating in $50.1 million demand and $8.1 million variable profit in year five. The strategy actually generates more profit in year one (as new customers re-order), and results in rapid growth through year five. The third strategy (lose a ton of money in new customer acquisition) generates $45.1 million demand and $6.0 million variable profit in year one ... with $61.9 million demand and $9.1 million variable profit in year five. What matters to the online marketing executive is this: Given a choice between marketing investment strategies, you are generally best-off, in the long-term, to lose money in the short term on your marketing strategies. In other words, you are likely to have the best long-term success in your paid search and portal advertising strategies if what you lose investing in new customers is offset with future profit that exceeds what you lost acquiring the customer. Many times, these are not the answers that executive leadership wants to hear. The profit and loss statement must work this year, right? Your job as an online marketing executive is to run simulations that illustrate what happens to your business, long-term, when marketing spend is not allocated as generously as it could be. Your simulations will become even more important when our recessionary environment throttles the organic online growth rates that propelled this channel into prominence. Market forces will require catalogers to make two adaptations in the future. Industry leading catalogers will take these steps in 2008, charting a path to our future. Who do you think will lead the catalog industry in the practice of publishing an "environmental policy"? A recent study documented on the Return Path website chided retailers for sending what consumers considered "Junk E-Mail". I think all of us have sat in the seat of the consumer, and understand how irrelevant many e-mail marketing campaigns appear when they arrive in our in-box. Send two e-mail campaigns per week to the entire e-mail list of 500,000 customers. Total sales = $9.9 million. Total profit = $2.9 million. Send two e-mail campaigns per week to the top half of the e-mail file, send no e-mail campaigns to the bottom half of the e-mail file. Total sales = $8.1 million. Total profit = $2.4 million. Send one very smartly designed e-mail campaign per week to the entire e-mail list of 500,000 customers. Total sales = $6.5 million. Total profit = $1.9 million. Send one very smartly designed e-mail campaign per week to the top half of the e-mail file, no e-mail campaigns to the bottom half. Total sales = $5.3 million. Total profit = $1.6 million. Again, I'm not taking sides here. I do want for you to see things via the eyes of the business leader. If a business leader is required to deliver increases in sales and profit (and if the brand is publicly traded, the business leader has a fiduciary responsibility to increase shareholder value), the numbers listed above drive the business leader toward choice #1. The business leader may feel pressured to increase e-mail frequency, mailing non-responders in an effort to deliver promised sales and profit forecasts, delivering less-than-compelling e-mail campaigns that deliver half the productivity of a well-designed campaign (as is illustrated in this example). The challenge for all of us is to present a compelling case that illustrates how fewer campaigns offering relevant, targeted content actually increases sales and profit more than choice #1 outlined above. Until this happens, we'll continue to see business leaders opting for choice #1. This choice is opposite from the strategy advocated by many e-mail experts, the opposite strategy desired by a consumer, but is often the choice most beneficial to the brand in the short-term (i.e. twelve months). P.S. : I realize I'll get comments about high opt-out rates and consumer frustration and sender reputation and long-term profitability. If you elect to take this route, please pretend you're speaking to the General Manager of a direct-to-consumer brand --- present a compelling case with realistic metrics and accurate financial information --- no rhetoric please. If you are an executive at a multichannel catalog brand, you're probably thinking about how the skills and abilities of your staff will evolve over the next five years. The traditional circulation department of 1995 featured folks dedicated entirely to the craft of circulating catalogs. Due to technology limitations, staffers focused on managing lists. Mainframe systems allowed analysts to extract customer information. Customer acquisition staffers coordinated list rental/exchange activity. The merge/purge house coordinated all of this activity. The circulation department of 2008 is a hodge-podge of transitional activities. We can't afford huge increases in fixed-expense headcount, so we try to cover multiple channels with comparable staffing levels. The circulation department of 2012 is no longer a circulation department. In 2012, we transition our teams into new roles. Because 70% or more of our sales occur online (regardless of the marketing activity that causes the sale), the online leader is recognized as the leader of the entire department. We transition our staff for different roles. Sales forecasting, typically a catalog-based activity, now reports through an online director. Channels become "strategies", with the nuts-and-bolts work done by software (i.e. campaign management software like Unica Affinium), or done by staffers at various vendors (i.e. CheetahMail, Coremetrics, Experian, Millard, Abacus). The analyst simply coordinates activities and provides significant vendor oversight. The analyst spends the remainder of his/her time coordinating a potpourri of strategies suggested by business leaders, and communicates the effectiveness of the strategies, collaborating with folks managing the corporate consumer data warehouse. Jobs disappear and evolve. Traditional catalog jobs are outsourced to the vendor community, allowing internal resources to be allocated to the jobs of the future. One of the new jobs is the Social Media Strategist. This person tracks "the conversation" happening between consumers and brands. It's pretty easy to do this today. If you are Lillian Vernon, and you want to track what folks are saying about layoffs at your organization, you type in this search term, then track this RSS feed. In the future, you will dedicate one individual to this activity, a person who works hard to improve the relationship between customers and your brand. Each strategist (e-mail, search, social media, catalog internal lists, catalog external lists, other online media) co-ordinates data feeds that populate the consumer data warehouse. In a potentially frightening version of the future, proprietary consumer data harvested by each strategist are linked to external databases (i.e. Abacus, Google). Roles and responsibilities evolve. Folks who enjoy traditional campaign management move into the vendor community. Individuals will manage a fragmented and chaotic environment controlled by the customer. The customer will tell the cataloger that she only wants four catalogs a year, and she wants them in February, May, October and November. The customer will tell the cataloger that she only wants twelve e-mail campaigns per year, to be received on the first of the month. The strategist somehow has to coordinate a million dissimilar consumer requests with software solutions that have yet to be created. Customer control will cause a reduction in sales, so the strategist will harvest online information, hoping to identify the moment when the customer is ready to purchase something. Some version of search marketing is likely to evolve as the primary function of the circulation department during the next decade. None of us can accurately predict the future. We can see, however, that the skills required to participate in the circulation department of the future will be very different than the skills required to manage the work flow today. We have a responsibility to look into the future, transitioning our staff for future jobs. Our industry spends a lot of time talking about the mechanics of e-mail marketing. We don't spend enough time talking about the long-term behavior of e-mail customers. Within the Multichannel Forensics framework (book, white paper), we can simplify our view of customer behavior along two dimensions --- those with e-mail addresses, and those who do not subscribe to our e-mail marketing program. Many multichannel catalogers and retailers observe advantageous behavior among the audience participating in an e-mail marketing program. Customers who participate in e-mail marketing programs are usually more valuable than customers who choose not to participate. After controlling for the fact that e-mail marketing participants are more valuable than those who choose to not participate, the actual e-mail marketing program generates incremental revenue. Example: 100 campaigns per year * $0.25 per campaign = $25.00 of incremental sales that are not generated by those not in the e-mail marketing program. Subtle changes in customer behavior (increased or decreased opt-out rates or opt-in rates) have long-term consequences for your brand. 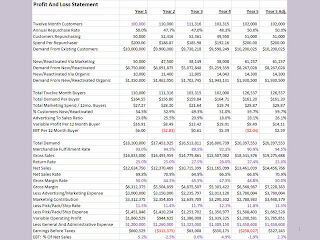 Example: In the attached simulation, I present a "base case" where a multichannel marketer grows the online business from $40 million to $50 million over five years. If this business fails to offer a compelling e-mail marketing program, maybe 10,000 fewer new customers sign up for the program each year. If this happens, the business does not achieve $50 million in year five --- instead, the business hits $48 million in year five. For businesses at/around 6% EBIT, this trend can gobble up 20% of your long-term EBIT --- all because of the effectiveness of an e-mail marketing program. Multichannel marketers continue to manage a unique dynamic --- marketing channels are proliferating, but the sales potential of each channel continues to decrease, with the sum of all marketing activities representing tepid overall growth. In the short-term, we've calibrated our measurement systems to understand what happens (in some cases, in real time) when we execute a campaign. In the long-term, we will use tools like Multichannel Forensics to understand the impact each marketing channel has on the growth of the brands we manage. We will understand how our short-term behaviors impact long-term growth, adjusting strategies accordingly. Sometimes, it is difficult for a CEO/Owner to understand whether catalog productivity is increasing, or decreasing. In 2008, the circulation team wants to increase pages and increase circulation, citing increased volume across all channels. Let's find out if the plan is good. I introduce a metric called "Standardized Multichannel Performance", or "SMP". For this business, we standardize the performance of each catalog to a 100 page catalog circulated to 1,000 households. By doing this, we can theoretically compare each catalog on a "comparable" basis. We do this adjustment if we don't have any good "comp segment" information to compare. ((100 pages / actual pages) ^ 0.5) * ((1,000 circ / actual circ) ^ 0.5). 2004 example: ((100 / 124) ^ 0.5) * ((1,000 / 800) ^ 0.5). 2004 example: (0.806 ^ 0.5) * (1.25^ 0.5). 2004 example: (0.898) * (1.118) = 1.004. Step 2: Multiply the adjustment factor by actual multichannel sales volume. 1.004 * $3,200 = $3,213. In this catalog were 100 pages, mailed to 1,000 households, it would have generated an SMP of $3,213, just over $3.2 million dollars. Now, we repeat this process for every catalog in the series. If we mailed a similarly sized catalog to a similar audience, the "SMP" suggests that this catalog would have decreased in performance, from $3,213,000 in 2005 to $3,179,000 in 2006 to $3,129,000 in 2007. In other words, this catalog is performing worse, year over year. And in 2008, your circulation team is forecasting a productivity increase of ((3,299 / 3,129) - 1) = 5.4%. Unless your circulation team found lists that are expected to perform exceedingly well, or your merchants found product that is significantly better than in prior years, you may have a catalog forecast that is not achievable. Catalog execs should have this little formula tucked-away in a spreadsheet. Choose a page count that is "average" for your business. Choose a circulation depth that is "average" for your business. Once you identify these metrics, calculate "SMP" for each catalog, as well as the catalogs you have planned for this year. You should be able to identify productivity trends and forecast errors easily, using this methodology.